Cyrene was founded in the 4th century BC by Greeks of Thera (Santorini) guided by Battos, within a zone where Carthaginian influence. 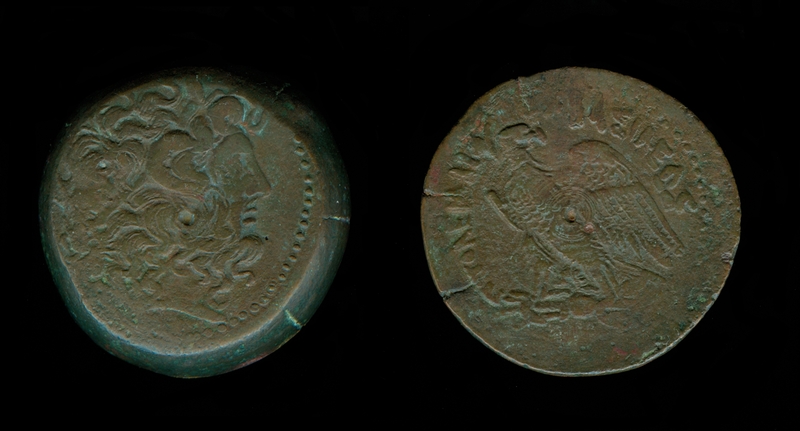 This trading centre sas dominated by the dynasty of the Battiadae. Within little less than a century, this kingdom was succeeded by a democratic regime which submitted itself to the rule of Alexander the Great and. After his his death it was annexed to the kingdom of the Lagids. One of the last of the line of descendants of Berenice and Ptolemy III Euergetes bequeathed it to the Roman people in 96 BC. Established as a Roman province in 74 BC, Cyrenaica shared in the fortunes of the empire and remained an important city. It was given by Mark Anthony to Cleopatra, united with Crete by Augustus, who decreed the date of the battle of Actium (34 BC) as the beginning of a new era, and then separated from Crete by Diocletian in a reform of 305, which united it with Egypt. Its capitol, which was reconstructed in the 1st century AD and damaged during the insurrection of the Jews in 116, was entirely rebuilt from the reign of Hadrian. Its decline did not begin until the earthquake and tidal wave of 365. Obvs: Zeus Amon right with tainia. Revs: ΠTOΛEMAIOY BAΣIΛEΩΣ, Eagle looking right on thunderbolt.